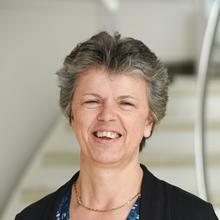 The University of Southampton is pleased to announce that it has been successful in its bid to continue to host the UK National Crystallography Service (NCS). The NCS has been hosted by the University for 18 years and provides data collection and crystal structure analysis for the UK chemistry community. It is funded by the Engineering and Physical Sciences Research Council (EPSRC) and also involves Diamond Light Source in Oxfordshire. Crystallography involves the scattering of beams of X-rays from crystals to determine fundamental chemical structures and properties for a wide range of applications such as gas storage materials, catalysts, pharmaceutical drug candidates, sensors, organic electronics, enzymes and proteins. The technique can be likened to a ‘microscope’ that can see the arrangement of atoms and molecules in solids. “I am delighted that the EPSRC has confirmed its intention to continue to host the NCS at the University of Southampton. 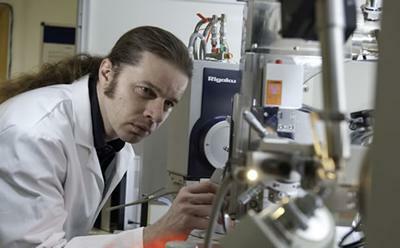 The service provides state of the art instrumentation and outstanding technical expertise, providing invaluable structural insights for researchers across the UK,” says Professor Gill Reid, Head of Chemistry at the University of Southampton. The new agreement will start on 1 November 2016 and will run for three years with an option to continue for a further two years thereafter. The EPSRC will provide £4m funding, with around £350,000 matched from the University. This will enable investment in new state-of-the-art instrumentation upgrades to provide new ‘advanced technique’ services in addition to continuing to support synthetic chemistry (and related subjects), plus increasing staffing levels. The NCS, which has been in continuous operation since 1981, is available for any UK academic (eligible to apply to EPSRC) to use and is part of EPSRC’s Mid-Range Facilities programme. It is currently amongst the highest throughput and most powerful crystallography labs in the world – this funding will ensure that Southampton continues to be at the forefront of this important research area. 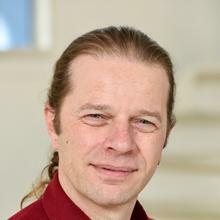 Professor Simon J Coles is Professor of Structural Chemistry and Director of both the UK National Crystallography Service and the UK Physical Sciences Data Science Service within Chemistry at the University of Southampton.